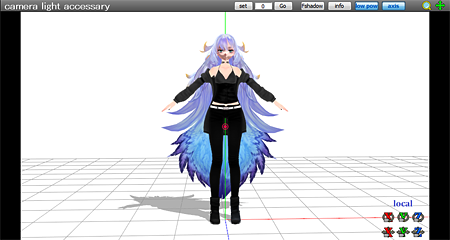 Have you Ever Seen Someone’s Animation That Made the model look like paper? And you wanted to know how they did it, but they didn’t put the effect in the description? How To Use ik_Paper Effect! Hey its ToxicXender! Im new here and this is my First Post! This will be a tutorial on how to use the Secret ik_paper Effect! Now That we have both of them downloaded, Double Left-Click on the .zip file and Hit The Extract Button in Bandizip. Now wait until it’s done Extracting! Drag that file into your Effects folder. 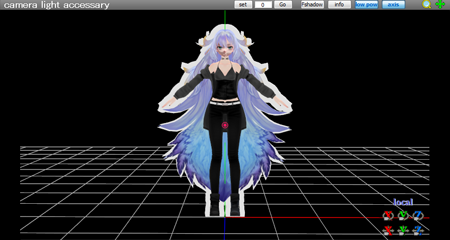 Then Open Up MMD(MikuMikuDance). 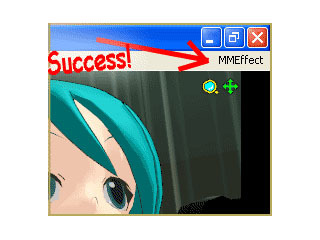 Once it’s up go to the Top Right-Hand Corner and Look For MME(MikuMikuEffect) (if you don’t have it, then go here for a tutorial on how to set it up! 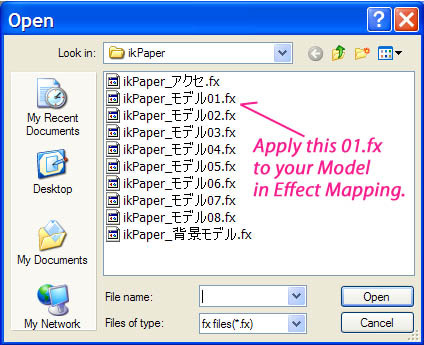 Locate Where you Extracted The ik_Paper Effect and select the 01.fx file! If it does not have a White Outline Then Something Went Wrong. Some users will have to rename those file names. Once renamed, the effect should work for you. After That Make Sure To Load the “Dummy Model” that comes with the effect. After you load the “Dummy Model”. You can do spins and so much more! Here is an Example in an animation! LearnMMD’s KillerBeer wrote a note describing the instructions included in the effect’s README file; translated for you, HERE. look it up before renaming them, so you’d know what’s what). You don’t have to edit those files to make it work “out of the box”, but by doing so, you can customize it to make it work in a specific way, if default settings do not suit you. In particular, all effects are programmed to treat the “upper body” bone as an individual spin bone for Y axis… but it keeps to act as a regular upper body bone as well, which sometimes may look weird. You can type in some other bone name (in Japanese, of course) instead, for example, the motherbone. 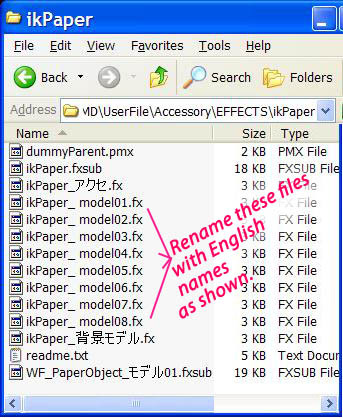 The reason there are 8 .fx files is the dummyParent.pmx model. By assigning various effects to various models you can control by its bones which models should spin all together (*and* changing its paper’s angle, which the upper body bone doesn’t) and which should not. I’d recommend to translate the model to English, since its bones are mapped to represent effects 01..08, but without translation their names will look like Null_02..Null_09 in English mode, begging to confuse you. You have Successfully “Mastered” The ik_Paper Effect! I Really Hope This Tutorial has helped you! 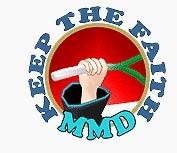 If you have question’s on something in this post please feel free to leave a comment!